ZTrolley Chair Trolley Chair Trollet To Suit ZOLA, WIMBLEDON, ZEST, PMV-BK Features Trolley for Zing, Zest, Zola, Zamba, PMVBK, and Wimbledon Chairs. The conference/events range is suitable for office based work that is executed within a meeting area environment. Provide employees with seating that can be easily arranged allowing the space to flow and promote discussion. The conference/events range is also great for optimising space as these chairs can be simply stacked away for efficient storage. 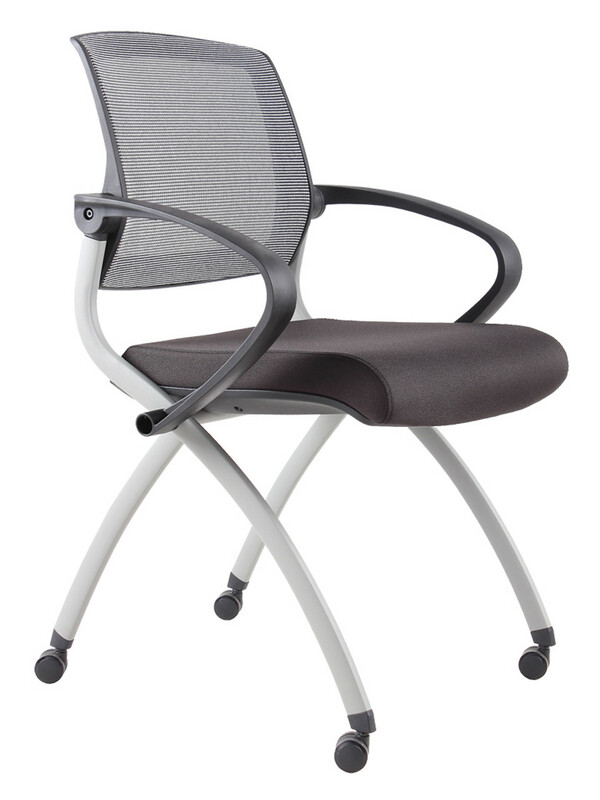 The stacking selection includes stylish modern chairs and stackable training chairs. The conference/events range is suitable for events, cafes, meeting room, waiting areas, conference and breakout rooms. There are several things that need to be considered when you are choosing conference chairs for your event space, and it is important that you find the right chairs which will be long-lasting and durable. Many people think about only the functionality of conference and event chairs, but these chairs can also offer unique features that make them durable and stylish at the same time. Rows of boring, gray conference chairs will set the wrong tone for the event, and the drab décor can have a negative impact on the attitude of the attendees. You need to make sure the chairs are stylish and comfortable, which will make people happier to sit there for long periods of time. Sitting in a conference or a long meeting can be exhausting if the chairs are uncomfortable, and people will be watching their clock counting down the time until they can leave if they are sitting in the wrong type of chair. Choose conference and event chairs that offer lumbar support and a comfortable seat, which makes it easy to sit in the chair for longer periods of time. Conference chairs are frequently moved around, and they need to be adjustable to make it easy to setup the room in different ways. Setting up for an event can be easy if they are stacked together, because the stacks can be moved to the appropriate areas of the room for fast setup. Because the chairs are moved so often, it is important that they are well-built and durable. You don’t want to be constantly replacing broken chairs, so it makes sense to buy high quality chairs that will last for many years. Also, think about the way the chairs will be arranged when they are setup in the conference room. One of the biggest problems that conference planners run into is the fact that the chairs are moved around during the day, which messes up the rows and causes disarray in the room. You can maintain order by using inking conference chairs, which can be lined up in a row and hooked together so they stay in a straight line. Linked chairs keep the conference room looking nice all day long. We are one of the leading providers of high quality conference chairs, and we are here to help you select the right chairs for your meeting space. Contact us today to learn more about the options that are available. Need a FAST QUOTE? Email us or Call us on 1300 735 310 today.